Katie Van Riper strikes an opponent. The senior lost in the round of 64 of the North American Cup. Northwestern’s weekend in Anaheim, California, was no vacation. Instead, the Wildcats met stiff competition in their final preseason tournament at the October North American Cup before the collegiate season begins next month. Of the 22 NU fencers competing, only one finished in the top 16 of the event, with another four finishing in the top 64. Despite the lack of standout performances, members of the team still feel like they improved entering the main campaign. Sophomore epee Pauline Hamilton finished with the team’s best result, placing 12th of 164 in the Division I epee event. In the round of 16, Hamilton faced off against Courtney Hurley, one of five 2016 U.S. Olympians competing in the event. Hurley, a 2012 Olympic bronze medalist, had not yet lost a match at the NAC. Despite the imposing challenge, Hamilton put up an impressive fight. Earlier on Monday, Van Riper faced Hurley in the round of 64 and lost 15-5. The senior finished the tournament in 55th place. Before the event, Moss said he wanted to see as many fencers finish in the top 32 as possible. While only Hamilton succeeded, Moss said many Cats outplayed their results. 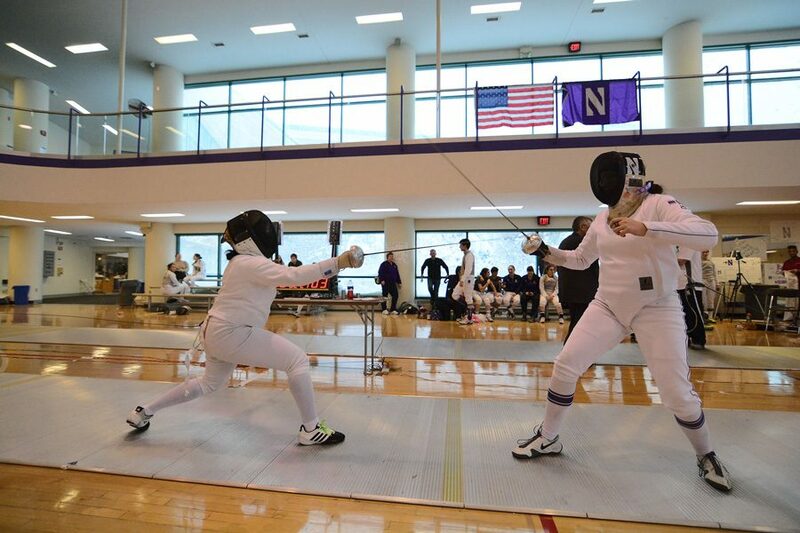 In the Division I sabre event, senior Emine Yücel and freshman Alexis Browne led the way for NU. Yücel finished in 39th place out of 132 fencers and went 5-1 in pool play, and Browne tied for 57th. Yücel said she was pleased to see her new teammate do well, especially in her first matchup of the elimination tournament. In the Division I foil draw, sophomore Alexandra Banin finished 62nd of 143 fencers — the only Cats sabre to finish in the top 64. NU will now shift its focus from the preseason individual competition to regular season team play. Moss said he has plans for a “purple-white” scrimmage in the coming days to get the team — especially the freshman — ready for team-style fencing. With a little more than two weeks until the collegiate season, Moss said he is happy with where the team is at and looks forward to the start of the campaign. “For the beginning of the year and where we want to be, we like what we saw,” Moss said.